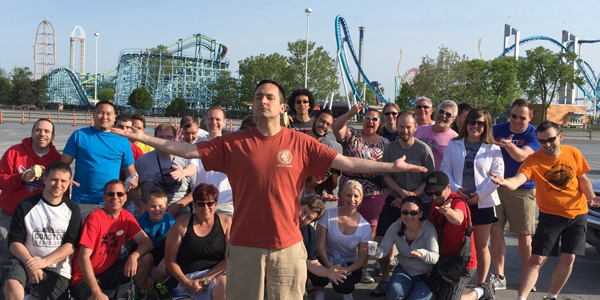 EB's New England Theme Park Trip, Derren Brown's Ghost Train and a peek at 2017! It's never too early to start looking ahead to 2017! This week's "First Drop" focuses on possible new rides at Hersheypark, Six Flags Over Georgia, Six Flags Fiesta Texas and Kings Island. Will we see major thrills at these parks? We also unveil what happened at the 2016 Podcast Awards and invite the podcaster who beat us to come on CoasterRadio.com. Will he accept our kind invitation? Nick Hutson calls in from the UK to review "Derren Brown's Ghost Train" at Thorpe Park. Will the years of development and be worth the hype? Finally, EB will tell us all about his New England theme park trip. It included stops at Darien Lake, Palace Playland and Canobe Lake!